After a full day seeing Burano’s colorful homes and lace making yesterday, Mama and I decided that visiting the neighboring Venetian island of Murano, famous for glass blowing, would be better left until today. We made our way to a shop called Fiore Fiore that we’d visited six years ago, where they sculpted a glass figurine of Abby for us. 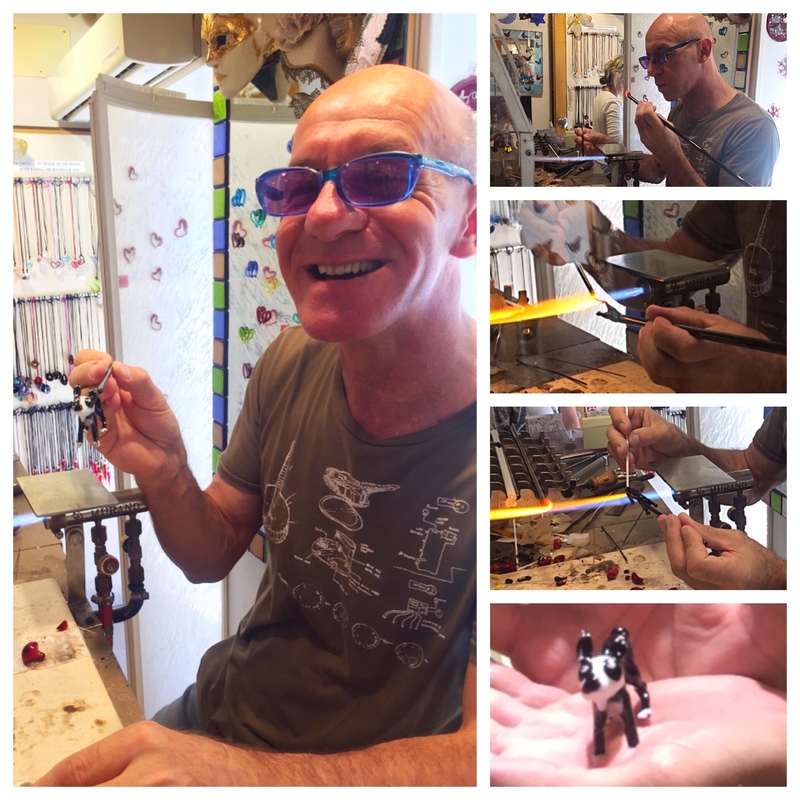 Giorgio, one of the two brothers who runs the shop and makes the glass pieces, was creating ladybugs for wine stopper tops when we arrived. After taking a few photos of Paisley and looking her over closely, he got to work with long sticks of black and white glass, along with a bit of pinkish white glass for her tummy. We had an incredible time watching Paisley appear out of the glass. Giorgio started with her back legs, then body and front legs, finishing with her head and pointed ears. I love how joyful he looks when he shows us the finished piece. Today’s #OneGoodThing was returning to Murano with Mama and getting a tiny glass sculpture made of our sweet Paisley! Day 278 of 365. And Day 1,009 in a row (here’s the first 366 & the following 365)!